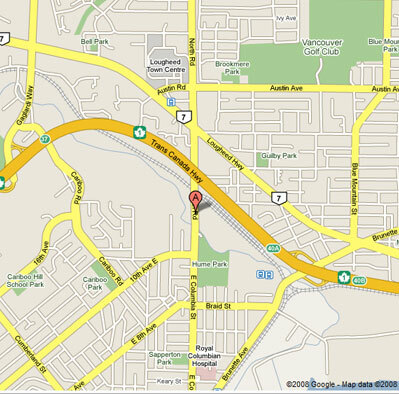 LOCATION/DRIVING DIRECTIONS - VANCOUVER, B.C. Turn RIGHT on Brunette Avenue to cross over Hwy 1 overpass. Continue down the hill about 0.7 km. Watch for our driveway, immediately past Hume Park.